So February is almost over and I’m ready for Spring now, after spending a week skiing- which was amazing, I’m ready for a bit of sun, the return of all the flowers and Easter. Talking of Skiing it’s actually my first favourite- how could it not be? 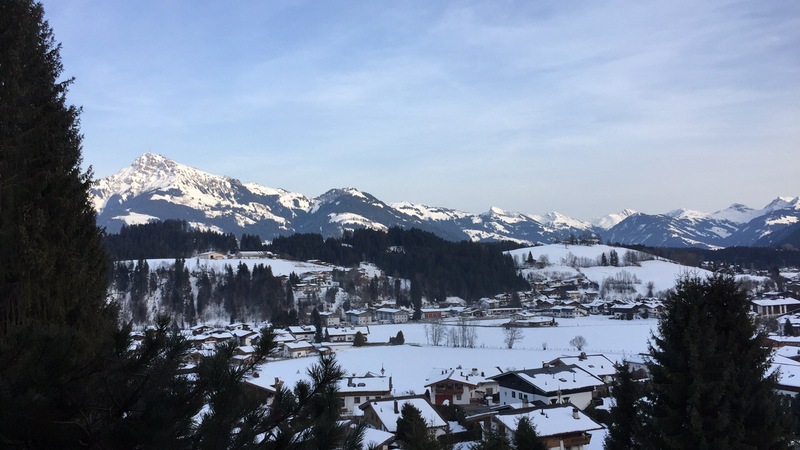 If you want to read a full scale ramble then check out my I Went Skiing post, but for now I’ll jut say it was an amazing experience that I was lucky enough to share with all my family and I would 100% go back to Kitzbuhel again. I mean seriously I cannot get over this view from our house window! 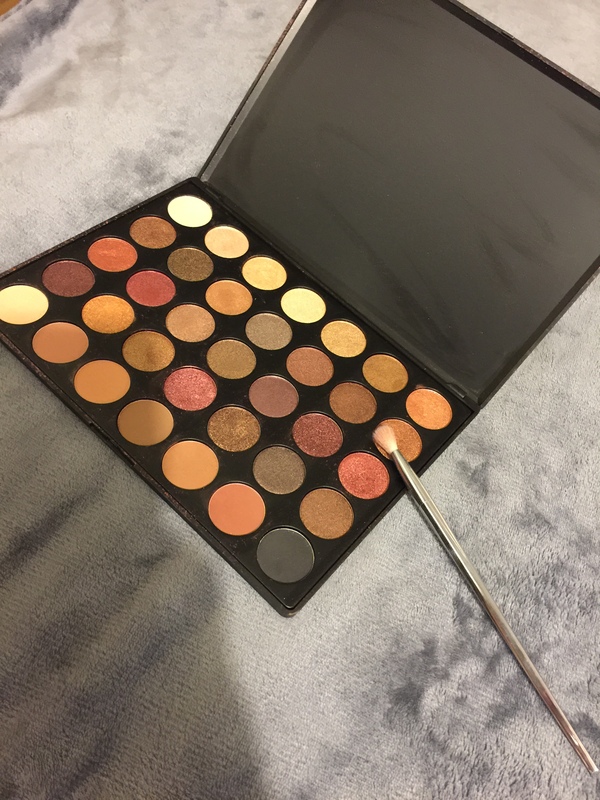 My first beauty favourite of the month has to be my Morphe 35F or Fall into Frost Palette (£23.50). 1 word- B E A U T I F U L. My boyfriend kindly bought me this for christmas and I haven’t stopped using it since, this palette is any warm toned fan’s dream. There’s a good mix of mattes and shimmers so you can create a subtle daytime or a dramatic night out look using only a few colours. To say these shadows are reasonably inexpensive the pigmentation is amazing and I haven’t yet found a colour I’ve been disappointed with, I know there are some mixed reviews about these palettes out there but I really really love mine! These go out of stock all the time so just keep an eye out and if you really want one, purchase as soon as websites like BeautyBay an CultBeauty restock them. I’ve always been a big fan of Lush products and as a brand I think they’re really great so I like to buy their products where I can. 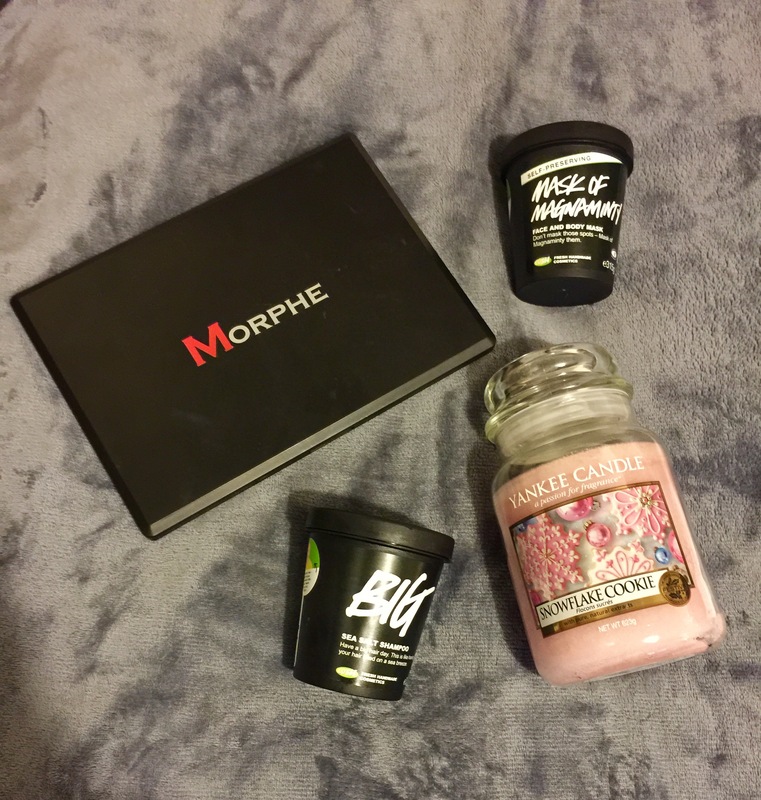 So this month I have 2 of their products as favourites. The first is the Mask of Magnaminty Face and Body Mask (£10.95)- this stuff is a godsend. Not only have I finished a whole tub this month, I’ve also repurchased and started another. This mask is great as a 15 minute face mask or a scrub in the shower on those stubborn areas of dry skin, it’s quite gritty so I’d only say to avoid it if you have any sore spots on your face but besides that this minty miracle does wonders. My other Lush fave is the Big Shampoo (£12.75), this is a sea salt shampoo which intends to give you the appearance of beachy waves every time you step out of the shower and I can’t get enough of it. Now, this one’s good for vegans which is great and helps contribute towards me only using cruelty free beauty products which i’ve been trying to work towards recently (See my How Cruel is my Makeup Bag post). Another great thing about these Lush pots is their recycle scheme– basically if you finish 5 Lush products in these black pots, wash them out and take them back into store you will receive a free pot of a fresh facemask- So get saving your empties if you are a Lush fan. Who doesn’t love a good candle? This one might seem a bit of a boring favourite but I’ve been loving the Snowflake Cookie Yankee Candle (£23.99) I received at christmas. Now I know I said I was ready for Spring but this just smells so good, I don’t care I’ll burn it in July if it means I get to smell the sweetness all year. Maybe it is time to put it away until winter and bring out one of my more year round scents who knows? What’s your favourite Candle? Comment below with any suggestions! Now finally it’s been a big month for films what with all the awards (I still need to get myself to the cinema to see La La Land) but this month I have a couple of cinema favourites. 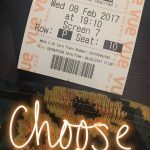 Firstly T2: Trainspotting– I can’t recommend this enough, I’m actually considering going to see it again, just make sure you’ve refreshed yourself with the original or you might miss some of the clever references throughout. 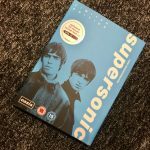 Finally, and I know this one was in the cinema a while ago but I’ve only just got around to watching it and that is Supersonic. Any music lover or Oasis fan needs to watch this, you can pick it up fairly cheaply on amazon or in HMV. It’s so cool to get to see all the unseen footage filmed over the years and even funnier hearing both Noel and Liam commentating completely different stories about the same events. So thanks for reading yet another months ramblings, hopefully you enjoyed it, what have you been loving in February? I can’t get over how pigmented they are and they really last all day even without a primer!